One of the hardest things I have found about being a mom is the myriad of decisions you have to make from the moment you discover you are expecting. Am I going to have a natural birth or c-section? Will I stay at home with my kids or go back to work ? Should I breastfeed or formula feed ? Cloth nappies or disposable ? And most importantly, should I eat that sushi or not? In the old days one would muddle along with the trusted advice of family and a few close friends, but we millennials have entered the world of social media mom land where every parenting choice is discussed in great detail and you get a first hand view of the mommy wars that everybody talks about. Don’t get me wrong – social media can be a great place to ask advice from fellow moms who may have been through the same issues that you are facing, but it is quite bizarre how people who have not even met each other in real life yet can so quickly become enemies over parenting styles and choices. Now I have always been a peace loving girl so I have observed certain behaviors which are bound to create virtual enemies and here are things you may want to avoid if you are planning on hanging around Internet mom land for some time to come. 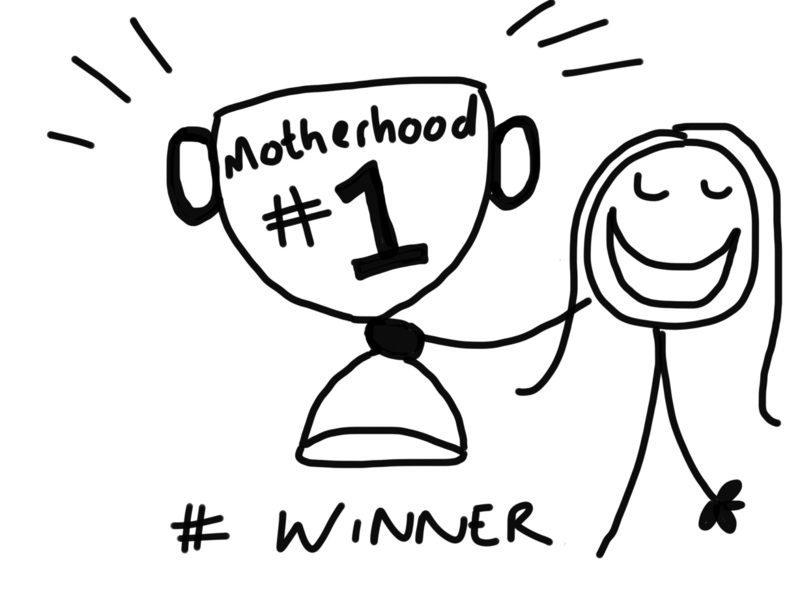 You may feel like you have made all the right choices when it comes to your precious snowflake, but you may be a tad disappointed when you discover that there are no prizes for “winning motherhood.” Standing on your virtual podium declaring that you can’t fathom why people can’t keep their household clean because it’s really easy for you with your single 3 week old baby, is not likely to endear you to your local internet community. Having it all together, all the time is just not possible and screams “faker” to the sisterhood. Having all the answers for the mom struggling with her child’s learning difficulty when your first baby has yet to crawl is highly suspicious behavior. Remember moms …The fall from the podium can be rather steep when you one day find yourself facing the exact same issues you swore you would never have because of your perfection in parenting. It’s ok to admit that you aren’t perfect. I have always found the honest posts the most liberating when suddenly moms feel free to share that they have also struggled with the same issues. Advice is fantastic when shared with a little empathy, advice with sanctimony not so much. It is inevitable – somebody on the Internet is not going to agree with something you have said. It’s ok. A little healthy, polite debate is not a bad thing and perhaps you can even learn something from it – like understanding why people make the choices they do. The problem is nobody wants to be wrong and everybody wants to come out on top of the debate. 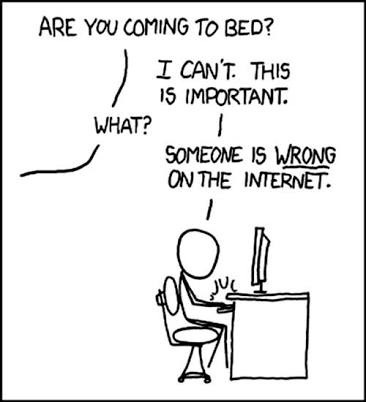 Trust me, I’ve been there – nobody is above a little Internet arguing. Now I know it can be shocking that other people feel differently from you about the topic you know so much about, but here’s a little handy hint – know when to smile and waive. Furiously typing out responses on your smartphone in between trying to look after your needy offspring is not a clever way to spend your precious time. When you feel your blood pressure rise it’s time to walk away. I actually have yet to see anyone convince the opposition that they are wrong in one of these debates – its like politics. You have chosen your party and now it’s a fight to the death or when admin closes the thread. Certain topics like circumcision, vaccination, sleep training and introducing solids are notorious pot stirrers. I’m not saying don’t have an opinion, but you can share it and leave it just there. You are not an internet missionary who’s sole purpose in life is to educate and convert those who don’t wish it. If you are one of those that enjoys watching the drama with macabre fascination, just drop an “F” comments to follow and get out the popcorn. Whatever you do, don’t lose sleep over it because those issues which seem so huge now will seem really insignificant when your kids are grown, guaranteed. 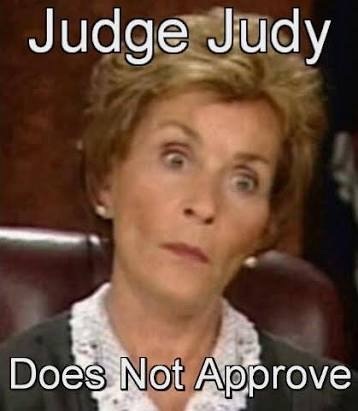 Telling a mom she is a butcher if she circumcises her son is judging. Explaining why you decided not to do so (in a kind way) is not. Telling a mom that she may as well blend mc Donald’s and put that in her baby’s bottle if she is going to use formula is judging. Telling a mom that you also struggled with breastfeeding, here are some things that got you through it and well done mommy for trying, is not. Telling a pregnant mom that c-section is not a real way to give birth is judging. Telling a pregnant mom that a natural birth can be amazing and really is nothing to be feared if you have supportive care givers and in the end the safe arrival of baby is what we all want, is not. You get the idea right ? So what do you do if you are really passionate about your parenting choices? Start a blog where you can share your knowledge and research with people who want to hear it or join a group of like minded mamas who get you. Trust me, there is a group for everyone because internet mom land is filled with all sorts. We are all in this together and I know we won’t necessarily all want to hold hands and sing Kumbaya, but a little bit of grace can go a long way. I am still learning after four kids and have even made some real life friends through these cyber groups. I say, Viva la Mom Land !